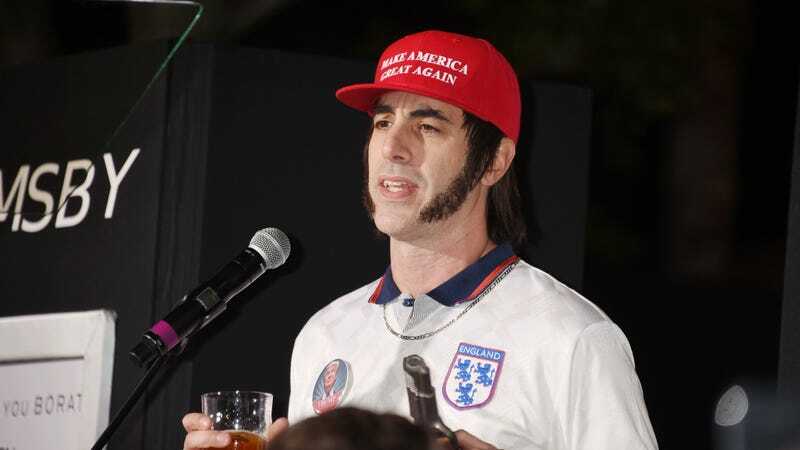 It’s been 14 years—and an almost spine-shattering quantity of “My wife”s and “Very nice!”s—since Borat, Bruno, and Ali G creator Sacha Baron Cohen last had a regular TV gig. That’s about to change, though, with Variety reporting that Cohen has signed on to star in a new Netflix series, titled The Spy. The Spy is being written and directed by Gideon Raff, who also created Prisoners Of War, the Israeli TV show that served as the basis for Homeland. By all accounts, this new project represents something of a turn for Cohen, giving him what’s likely to be his first dramatic leading role.